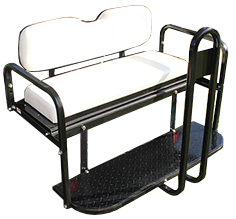 Designed by RHOX to fit Club Car Precedent. OEM struts can be reused with OEM top. You reuse your factory rear top struts.